Come Relax and Enjoy! 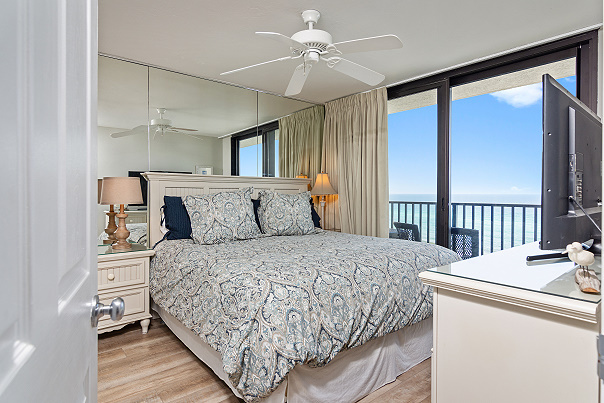 Unit #704 has been totally renovated and updated to provide a wonderful vacation experience. Enjoy the 180 degree panoramic gulf views while watching the spectacular sunsets from the balcony. 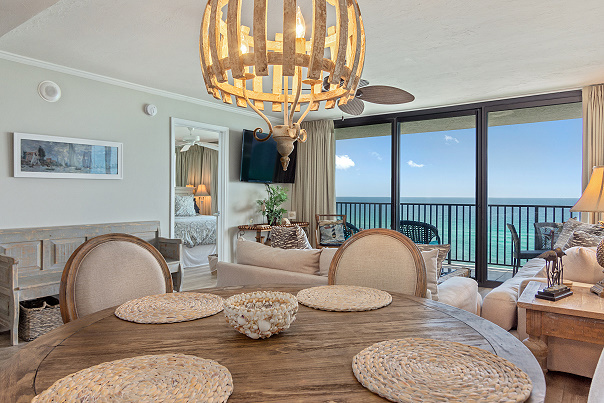 Featuring new furnishings, flooring, lighting, bedding and more. 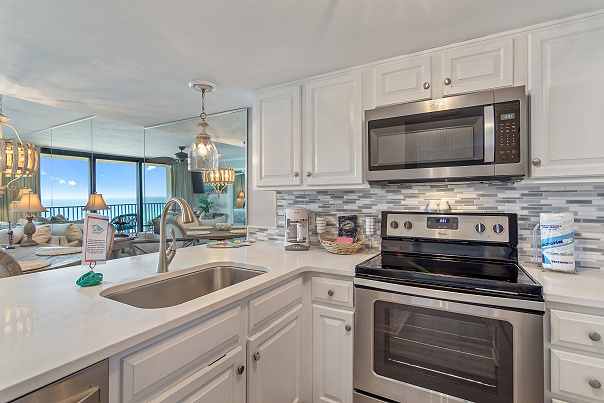 Cook your own meals in the fully equipped kitchen with new stainless steel appliances, tile backsplash, quartz countertops and bar. Inviting grey and light wood tones through-out project an Airy, Beach feel. 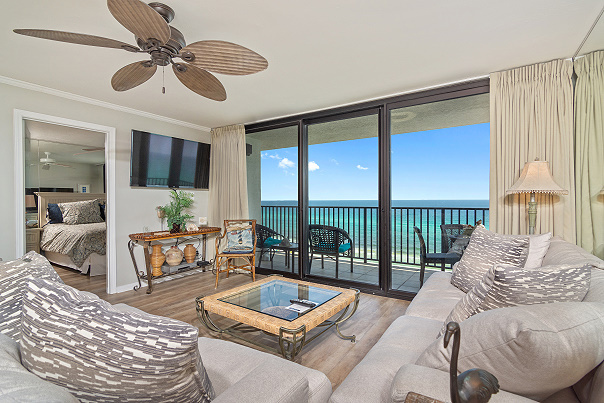 Sliding glass balcony doors allow excellent views though-out the living room, dining room, and master bedroom. 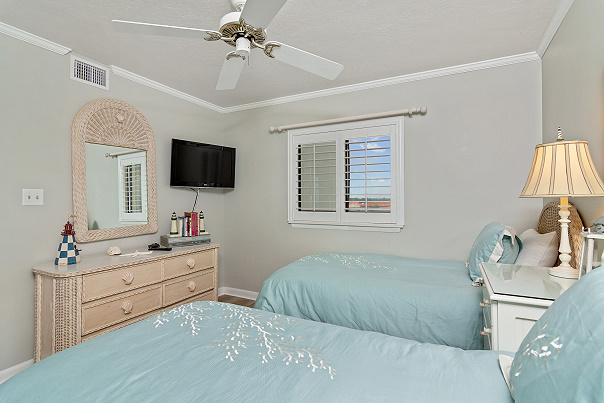 The Master Suite features a King sized Bed and Luxurious, Walk-in, Tiled Shower. 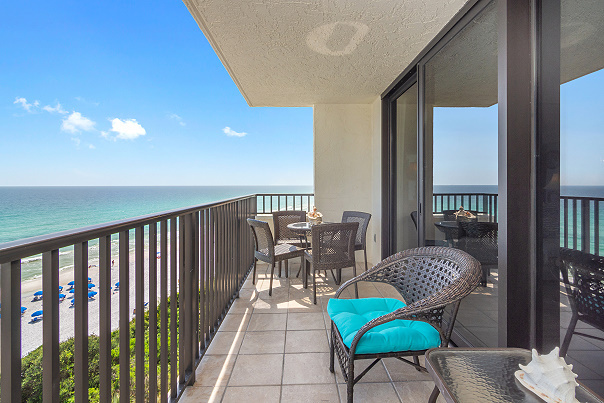 Entertainment includes 3 Large Flat screened "Smart" TVs all with cable access, DVD & VCR, games and beach toys. Welcome to all that Unit #704 has to offer.